Wether you are replacing a damaged Teardrop Door, or you are working on that special garage project. We have the door for you. 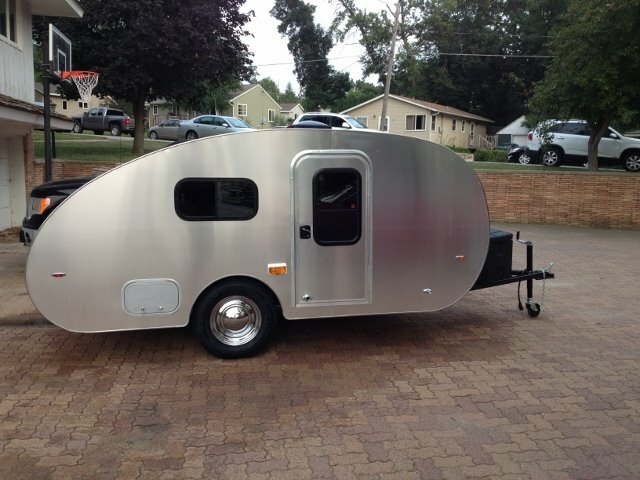 These high quality teardrop trailer doors specifically designed for use in the smaller teardrop type trailers. Custom manufactured to your exact specifications. We offer 2 corner radius or 4 corner radius. Two different corner radius dimensions are available, 2" radius or 4" radius depending on your application. We offer the door with a window, or without a window. We can also add a peep hole if you desire. 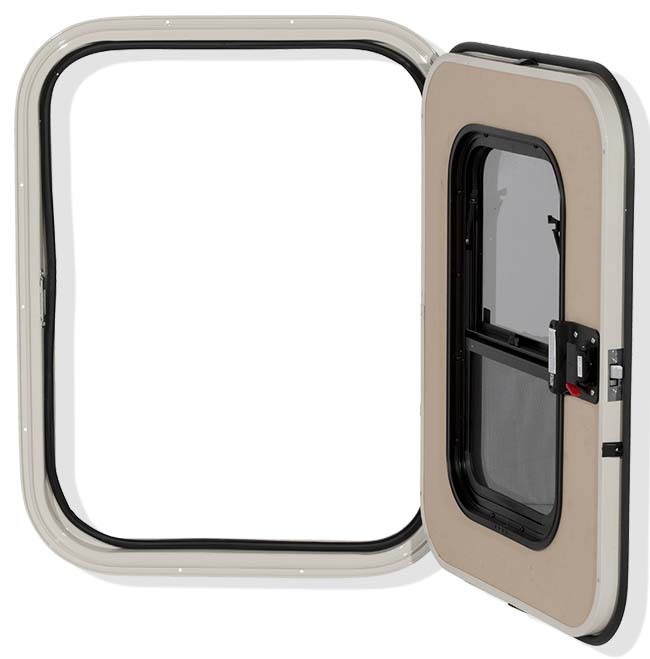 Screen doors are optional, but not available on 4 corner radius configurations. 805 series incorporates a unique four corner radius design. 1 1/2" Styrofoam laminated core. 15 X 24 Hehr vertical slider window. Can also order with no window. Available in drivers side or passenger side configurations. Screen is not offered with the 805 series. 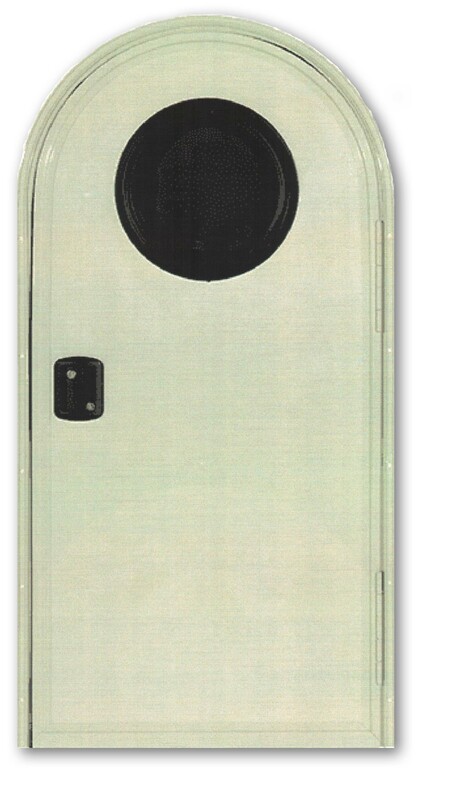 820 Series full top radius for that "Retro" look. 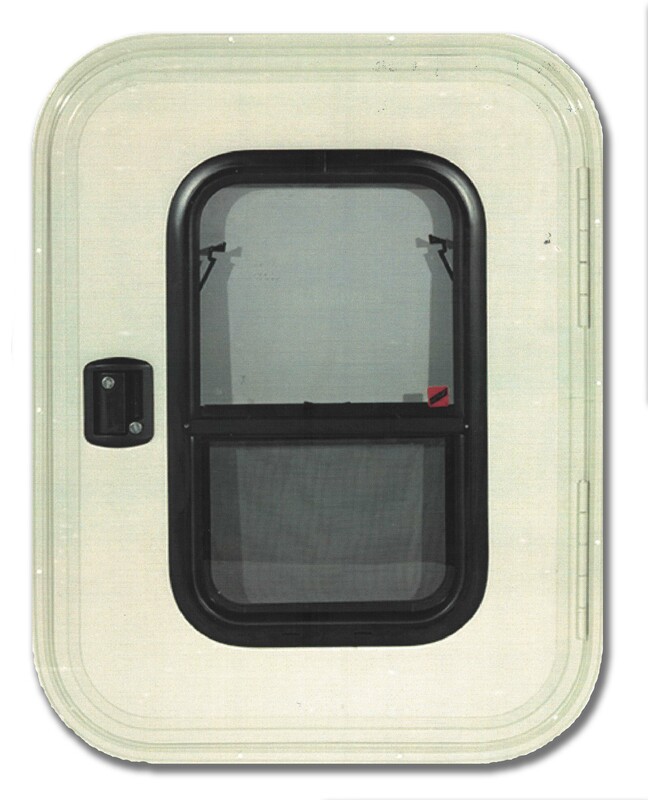 Available with or without porthole window. Screen is not offered with the 820 series. 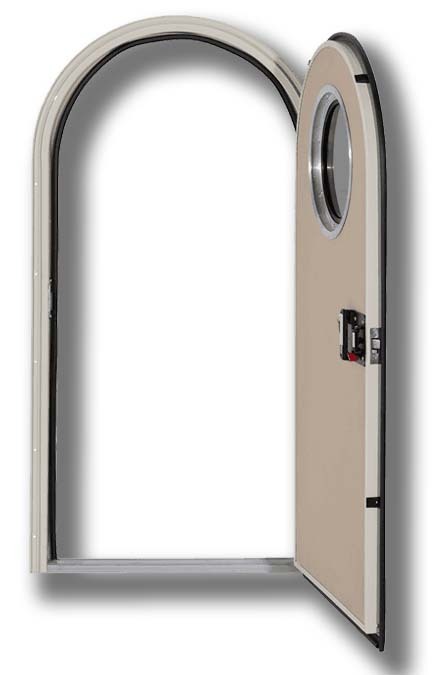 950 Series has the same durable construction as the 805 series door. Available with or without a screen. Minimum size 22" Wide by 48" Tall. Available with or without a window.